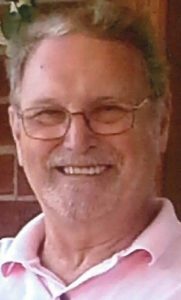 David Michael Molascon, 71, of Landisville for the past 34 years, went to his Lord and Redeemer following a multi-year battle with cancer, on the 28th day of January, 2019. Born in Detroit, Michigan, he was the son of the late Eugene Robert and Mary (Rozanski) Molascon of Redford, Michigan. David is survived by his wife of 46 years, Carolyn Jean (Harris) Molascon, and daughters Gwen Elizabeth Molascon and Amanda Kay Kann (Steven), both of Lancaster, and a grandson, Austin Bradley Kann. David is also survived by his mother Mary Molascon, sister Susan Secorski, and nephew Carrick Michael Secorski, all in MI, and, neice, Laura Harris Bana in MD. Further, David is preceded in death by his infant son, Bradley David Molascon. A graduate of Siena Heights University in Adrian, MI, David worked in the electronics and quality engineering field. David worked for several electronics companies in the area. He was most recently employed at Ultra Electronics Herley in Lancaster, along with previously employment at Sechan Electronics in Lititz, BAE Systems in York, and AAI in Hunt Valley, MD. David enjoyed traveling, especially to the Caribbean Islands, where he reveled in outdoor sports, particularly those involving the ocean. He is a member of Hempfield United Methodist Church, where he served as a trustee, an usher, and volunteered in the tech booth during services. A Celebration of Life Service will be held at Hempfield United Methodist Church, 3050 Marietta Ave, Lancaster, PA 17601, on Monday, February 4, 2019 at 7:00pm. Guests will be received at the church starting at 6:00pm. Interment will be private. In lieu of flowers, contributions may be made to the Ann B. Barshinger Cancer Institute, 2102 Harrisburg Pike, Lancaster, PA 17601 and Hospice and Community Care, 685 Good Drive, Box 4125, Lancaster, PA 17604. I didn’t know many of you, but just wanted to say your husband, dad, was a great guy. Hopefully, your happy and loving memories of him will soften the loss in time. I am missing him also. God Bless you all with his presence at such a difficult time. Will miss you, buddy. Your entusiasm was infectious. Carol,my deepest condolences to you all, my wish is for peace and good memories to sustain you, and may God grant David an eternity in heaven.